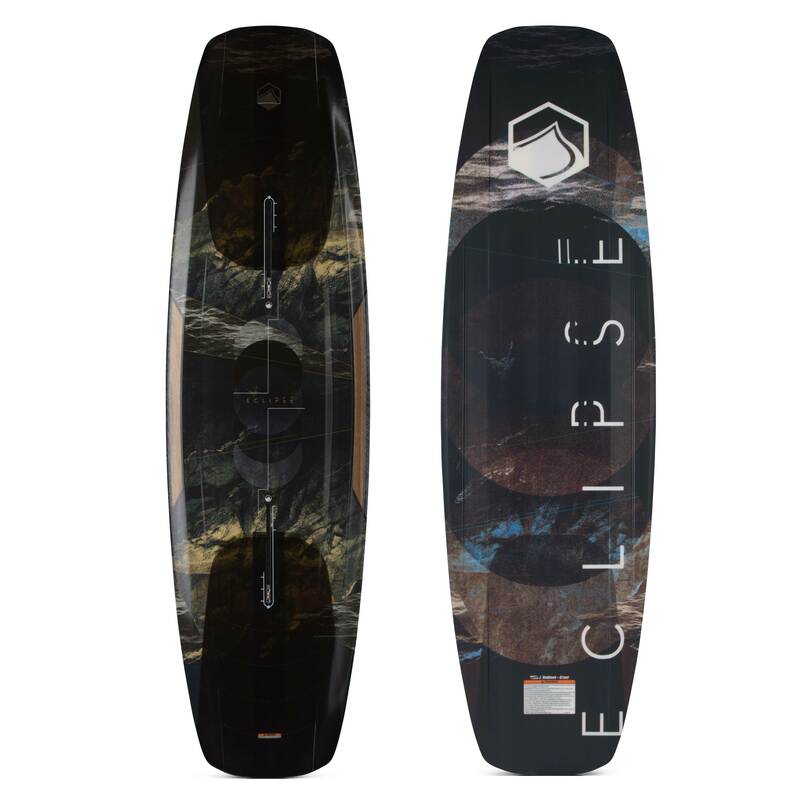 The Liquid Force Eclipse is part of the new generation of park wakeboards taking over where you up size and ride a bigger board. These boards are for stomping bigger landings and softening heavy impacts on the water when dropping form a big height. The Liquid Force Eclipse has received rave reviews the past few season from park riders around the world and for good reason, it rides incredibly well! It comes with a triple wood stringer, PU core for increased durability and great response while the longer length means it can handle the big landings with ease. It features Liquid Forces exclusive Sintered Grind Base for excellent durability on rails and the Triax glass adds torsional control with a springy flex. Included in this new design is the Liquid Force exclusive Flex Track system. This is a single track which moves with you as you arc into carves and flexes with the board even when you press onto rails creating an unmatched connection between you and your board. Size up, make buoyancy issues a thing of the past and big landings feel like tiny ones with the awesome Eclipse.